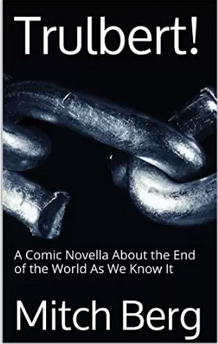 My upcoming e-book, Trulbert: A Comic Novella about the End of the World As We Know It, is now available for pre-order on Amazon. The release date is June 15. Will you be utilizing ‘Autography’ to accommodate individuals requesting a signed ebook? I had not considered that. Pulitzer nominations begin on June 15. Coincidence, I am sure. is there a Trulbert: The Prequel in the works? Gotta start working on that trilogy Mitch – thats what brings the movie money sniffing at your door. Just write one long book and then let Peter Jackson turn it into a trilogy. Just be careful to avoid Trulbert 2: Electric Boogaloo. Can’t wait for the Amazon review page to open. Say, the author doesn’t get to edit those, does he?